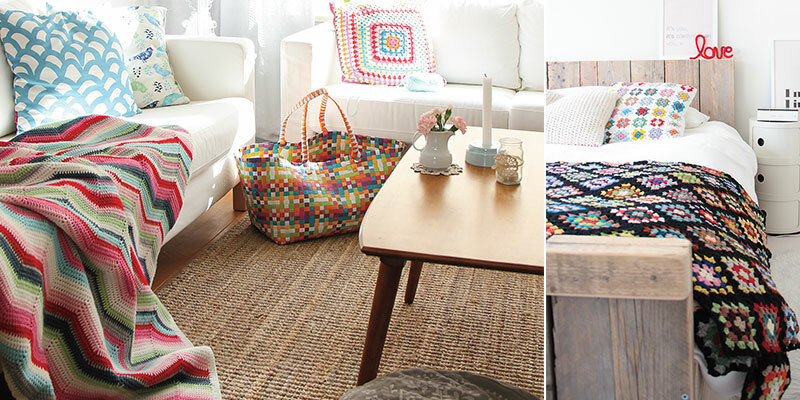 Ilaria Chiaratti Bonomi, an Italian by birth, lives in Eindhoven, Netherlands, with her husband, Alberto, their dog, Kora, and their kitty, Penny Lane, in a home she calls The Happy House, an abode filled with crochet home décor. A freelance photographer, interior-design stylist, and crocheter, Ilaria has filled her life with creative activity. It’s work that she takes seriously: she studied graphic design and has a master’s degree in arts and music. In 2012, she completed a degree as an interior stylist and founded her own interior-styling consulting company. Ilaria also works with a number of international magazines with her photography and DIY crafting. And of course she crochets. She loves making crochet items that she can start and finish in just a few days. She says, “I’m not very patient, and I can’t wait to see the final product!” So she’ll make baby blankets, for instance, but isn’t too keen on making larger blankets. However, she did join in on the Crochet Mood Blanket project, a social-media-driven project started by Stacey Wentford-Hall (frofunky on Instagram) that involves making a tiny square that reflects your mood each day. Ilaria has always been crafty, starting in childhood with a love of drawing and of playing with clay. Later, when living in an apartment that she wanted to decorate with more color, she immersed herself in crochet. 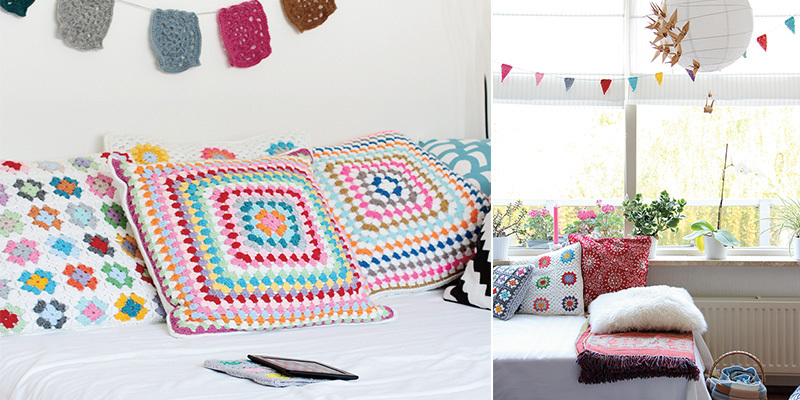 Soon she found that she’d filled up her whole house with crochet home décor. In the meantime, she had started her website, Ida Interior LifeStyle. 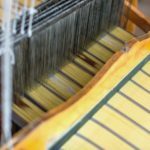 She received great feedback from people who loved seeing her crochet items for the home, so she decided to open up an Etsy store to sell her surplus. So what is it really like when Ilaria crochets in her own home? Her studio is in the well-organized and beautifully decorated attic of her Happy House. Arranged by color on a bookshelf in the studio is the yarn that she sells through her online store. Her own craft materials are on a cart with wheels that can easily be shifted around to accommodate her projects. Ilaria does a lot of creative work in this lovely space. But the truth is that you are most likely to find her crocheting on the couch. She loves to watch movies in the evenings with her husband, and because she prefers doing something to doing nothing, that’s when she curls up and crochets. Many things inspire Ilaria, from walks in nature to ideas in magazines to a spectrum of online designers. When asked about specific crocheters who inspire her, she said, “Yvonne from Yvestown is one of my favorites, for the color palettes that she uses, which are so feminine and delicate. I also admire Ingrid from Wood and Wool Stool for the originality of the makings, and Emma Lamb for the poetry that she gives to any piece. And I really like Dottie Angel and Lucy from Attic24. Kathryn Vercillo is the author of Crochet Saved My Life (CreateSpace Independent Publishing Platform, 2012). She blogs at www.crochetconcupiscence.com. Find More Crochet Home Décor in Our Pages!